A visit to London’s Borough Market provides the perfect opportunity to expand and develop your lesson on food vocabulary and really engages the students. 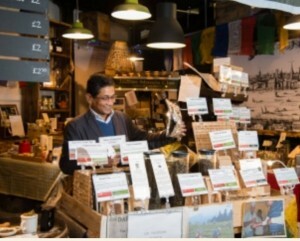 A melting pot of vibrant and diverse smells, tastes and colours, Borough Market delivers a sensory overload, whether you are there to taste the food, shop or just to people watch. This experience also opens up a wide range of opportunities to exploit the topic of your lesson – food. You can describe the food that you see, smell and taste and encourage students to develop their range of food adjectives. You can also discuss countable and uncountable nouns, likes and dislikes, comparatives and superlatives and the influence of other cultures, which is evident from the wide array of culinary treats on offer! I focused my lesson on the differences between typical British food and the typical food from the students’ country, developing the students’ use of adjectives and general vocabulary. 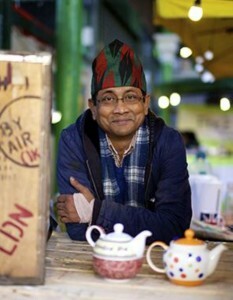 During our visit to Borough Market I took the students to the Tea2you stall. I’ve been there on numerous occasions and the charismatic owner; Ratan Mondal has an unrelenting and infectious passion for his product. After I explained that our group consisted of students who were learning English from many different countries, Ratan launched into a highly entertaining and engaging presentation about his products, the history of the company, the health benefits of good tea, the history of tea in the UK and also offered the students the opportunity to ask any questions. Everyone got the chance to try the tea too! The students really enjoyed the visit and it allowed them the opportunity to utilise their English in a real context. Enjoy a great experience while taking Adult English classes in London with EC.